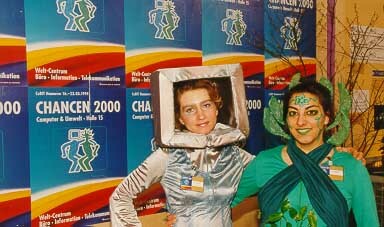 The Recycling Show: "Don`t ask, how it looks inside!" 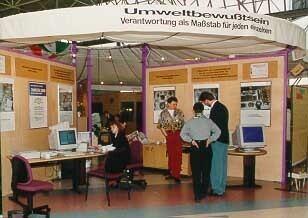 was a special featute at the CeBIT`94 "Computer and Environment" Group Exhibit. 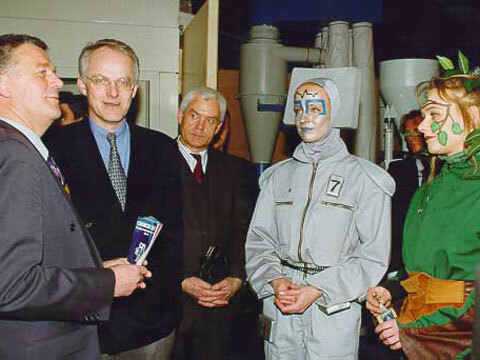 Dr. Dirk Schöps (middle, with glases) from ELPRO GmbH was providing the necceessary equipment like monitors, tools, safety devices and gave also useful information about the “indigrients” of a monitor. 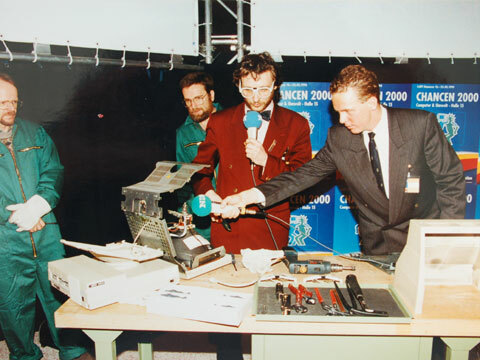 Ulrich Walter (right) from the Arno A. Evers Team is placing his microphone to the monitor to ampyfy the noise at the moment of the leaving the vacuum out of the monitor`s tube. 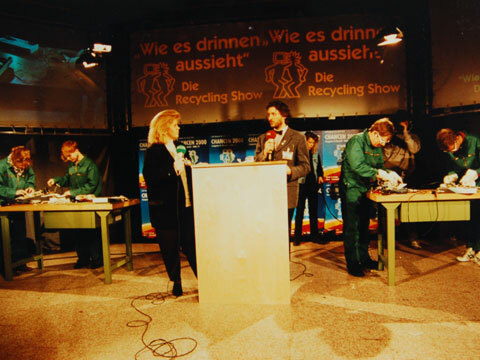 Two teams from the audience were competing against each other in dismateling one monitor each to find out, which fractions like metal, glass and plastics are built into monitors. 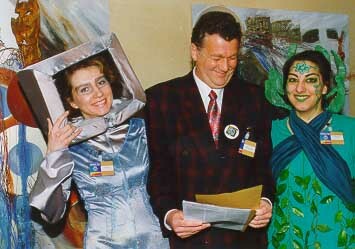 Also mercury, which is highly toxcic, is found in these monitors which contain a Cathode Ray Tube. 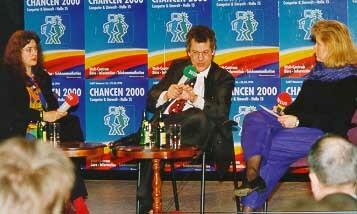 Dr.Dirk Schöps (middle,) from ELPRO GmbH at his moderation, together with Dr. Barbara Walter from Arno A. Evers FAIR-PR. 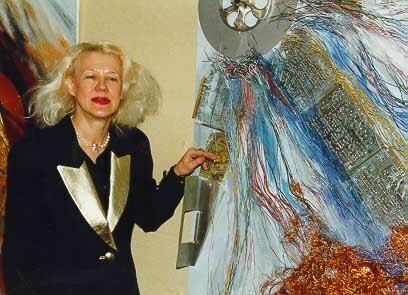 Artist at work. 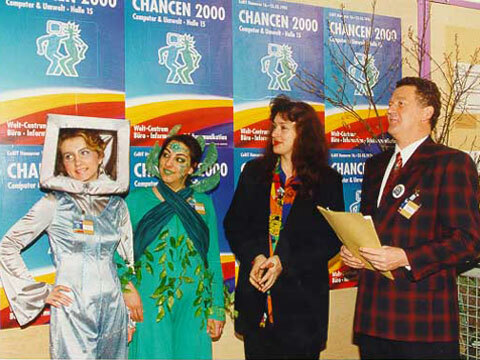 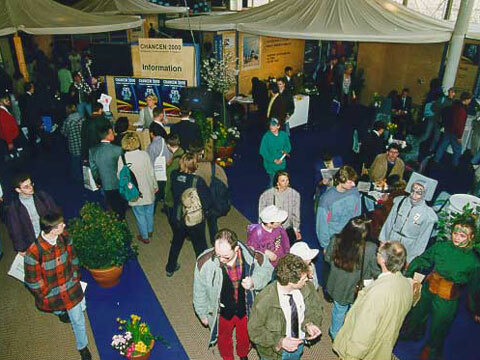 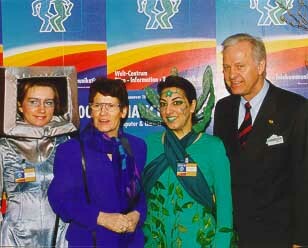 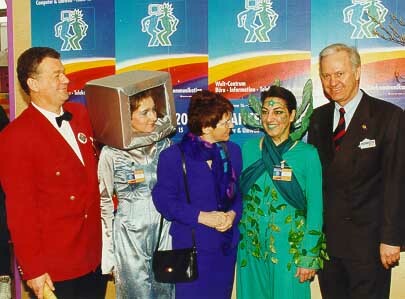 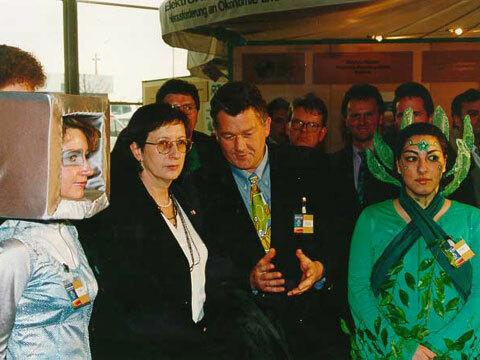 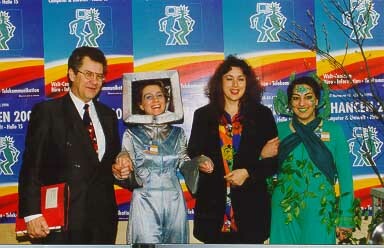 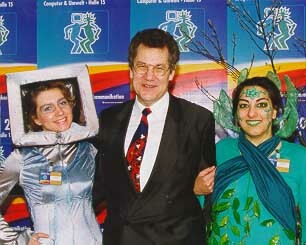 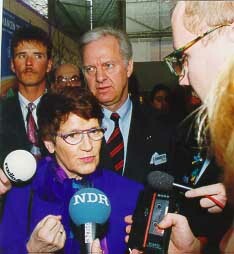 At Chancen 2000 at the CeBIT '94 where also a number of artists, presenting their interpretation of computer work.